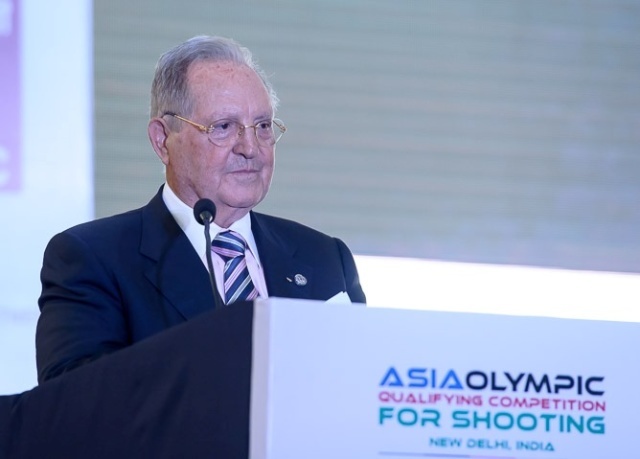 International Shooting Sport Federation (ISSF) president Olegario Vazquez Rana on Tuesday expressed satisfaction with the progress the sport has made in Asia in recent years. Olegario is here for the Asia Olympic Qualifying Competition for Shooting, the continent’s last quota event before the Rio Games. The event got underway here today in a glittering opening ceremony held at the Dr. Karni Singh Shooting Range. 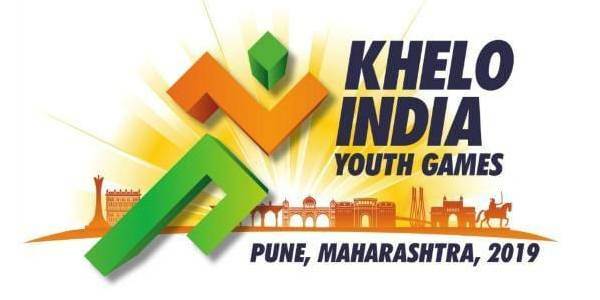 Union Minister Rao Inderjit Singh (Chief Guest) declared the competition open while the athlete’s oath was taken by 2012 Olympic silver medallist Vijay Kumar. Speaking at the occasion, ISSF president Olegario Vazquez Raña said, “A very warm welcome to all the participants, especially to the 538 shooters. 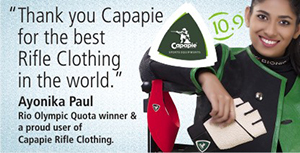 I am very proud and happy to be here in the beautiful city of New Delhi for this Olympic Qualifying Competition. India and Asia are very important to the shooting sport world, and I’m very satisfied with the progress of our sport within the Asian continent”. Apart from the ISSF president Olegario Vazquez Raña, the ceremony was also witnessed by the vice president of the ISSF Gary Anderson, the secretary general of the ISSF Franz Schreiber, star shooters Abhinav Bindra and Gagan Narang, Prince Jigyel Ugyen Wangchuck of Bhutan (Guest of Honour) and the president of the National Rifle Association of India (NRAI) Raninder Singh along with other dignitaries, participating shooters and officials. A cultural programme showcasing India’s diversity was followed by dazzling fireworks lighting up the winter sky. Rifle shooters Anjali Bhagwat and Elizabeth Susan Koshy were also part of a dance performance. Starting from tomorrow, the fifteen Olympic shooting events will be conducted at the Dr. Karni Singh Shooting Range in New Delhi, where also 35 quota places for Rio 2016 will be awarded.